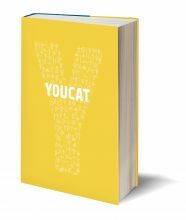 “YouCat”: Worth going to WYD in Madrid just to get a copy! 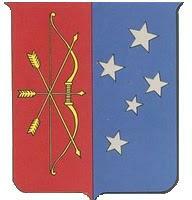 To see the deal, read here. Aid to the Church in Need is producing what might be the biggest print run of any new book ever just to meet the demands! 3 Responses to “YouCat”: Worth going to WYD in Madrid just to get a copy! I am glad you brought this topic up (WYD). I am in the age group mentioned and have attended a WYD as part of my Diocese in 2002 and made the weekend hike up to Sydney for the Papal Mass in 2008. I was involved in many of the activities surrounding ’08 such as the Days in the Diocese and the WYD Cross visit. I honestly could say that they were two of the best experiences of my life in which I am deeply grateful to God for and in which I gained a few friends for life, but I have am now getting a sense that people’s general feelings of WYD are they are a bit ‘over it’. Or rather in the Diocese that I live there is a feeling that too much resources are being put into it WYD at the expense of other youth activities. I can’t hide my slight personal disappointment with some of the ‘after-results’ of WYD ’08 in my own Diocese. Whilst I acknowledge larger dioceses such as Sydney and Melbourne may be better places to take a snapshot, the general consensus I had in my own parish and Diocese is that we spent up to two years of energy organising it and the vast majority aged 15-17 found it a good experience but then two years later, moved onto other things in life or did not have that great of an impact on their level of devoutness. For a proportion of young people that attend, WYD has sort of become a glorified school trip. I am not saying that WYD is a waste of time or that heaps of Australian young Catholics will not benefit from it (indeed it has probably helped countless of Australians), but simply in my Diocese things need to be kept into perspective and surely many other youth activities such as summer schools or pilgrimages in Australia should be as heavily promoted or resourced as WYD or alternatively aim WYD at young twenty somethings rather than teenyboppers. You are right in saying that WYD must lead somewhere, and probably also right in the opinion that more effort was put into the lead up than in the “lead on”, if I may call it that. Perhaps it is worth reflecting on what the Church WITHOUT the World Youth Day phenomenon might have been like. Putting it a bit more bluntly, my own Diocese sent around 300-400 to WYD Sydney.Sure, not all are going to be deeply into the Church, but my disapointment is that I can’t say that many at all I would consider devout. It is actually something I am quite dissapointed in. Like I said though, my Diocese would not be a good sample as it is also lacking in dedicated priests who would have the energy to invest in the ‘lead-on’. The reason I highlight this is that from the handful of young Catholics that attend the charasmatic evangelisation summer schools or the Christus Rex pilgrimage, I am more impressed with. WYD can be great, but my frustrastion is that Church youth offices should not see it as the be all and end all and should equally put their time and resources into other intiatives that would reap equal investment for the Church.